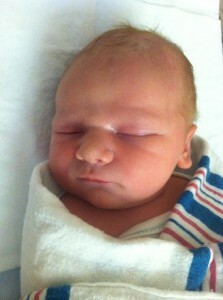 Congratulations to Bill, Kristie and Vinny Riccio on the newest addition to their family! Little Sonny was born July 5th. 8lbs. 2 oz. and 19″. A big Hoo Rah! goes out to the Riccio Family. Congratulations to you guys! He’s beautiful!! God bless! !